Apple Pay users can now get a physical credit card to go along with the Wallet app. The firm unveiled its overhauled Apple Pay system, including a new in-app credit card service called Apple Card, which will launch in partnership with Goldman Sachs. 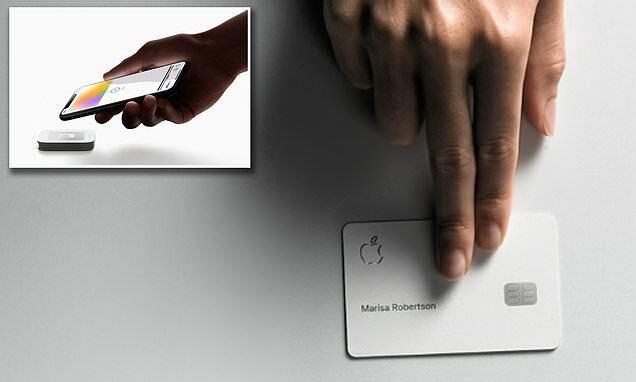 Apple also introduced a titanium, Apple-branded credit card with no number, CVV security code, expiration date, or signature displayed in effort to make purchases more secure. The system will rely on MasterCard's global payment network, so that it can be used anywhere around the world. Apple Card will not have any annual or late fees, and boasts interest rates that are ‘among the lowest in the industry,’ Apple says. It’s set to launch this summer in the United States. 'With Apple Pay, we have completely rethought the Apple Card,' Jennifer Bailey, vice president of Apple Pay, said on stage. The sleek, titanium credit card makes a surprising design departure from traditional debit or credit cards.